Latino students continue to be underrepresented in postsecondary education. For every 100 Latina/o elementary students, 11 will graduate from college, 4 will receive a graduate degree, and only 1 will receive a PhD. 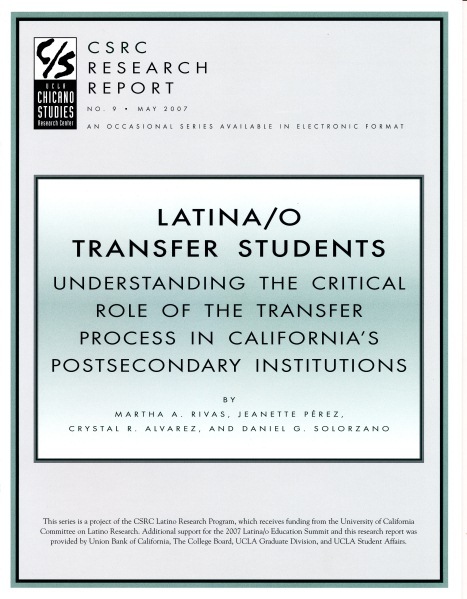 This research report explores the obstacles that Latina/o students face as they move through the education pipeline and examines the importance of the transfer process from community college to a four-year college or university.